I decided to join Boracay Pub Crawl #468 on my last night at Boracay and it was the best decision I had ever made. I made a lot of new friends as their slogan of turning strangers into friends turned out to be so true. I love meeting new people and there were like a hundred of us who joined (which is amazingly the normal amount of participants) so it is impossible to not meet people here. All the participants vary in nationality since you are in one of the most popular travel destinations in the world. 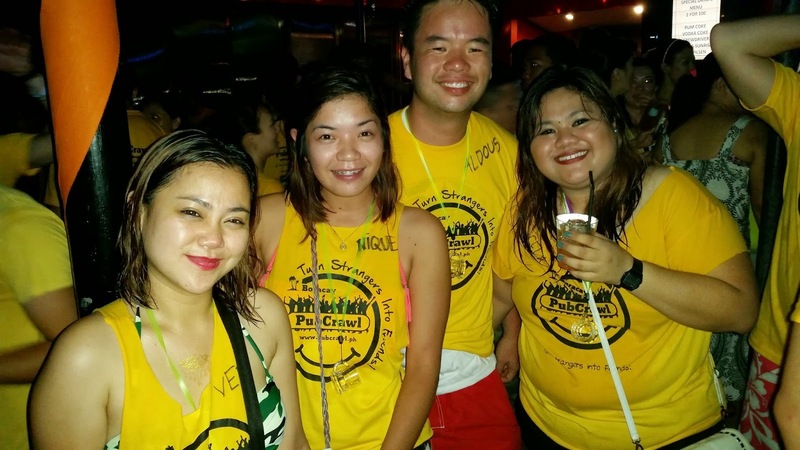 Boracay Pub Crawl lets you have fun in 5 bars in one night along with free shots. Wow, this night was so memorable that I can still hear the DJ's music blaring in my ears even if I am already hundreds of miles away. 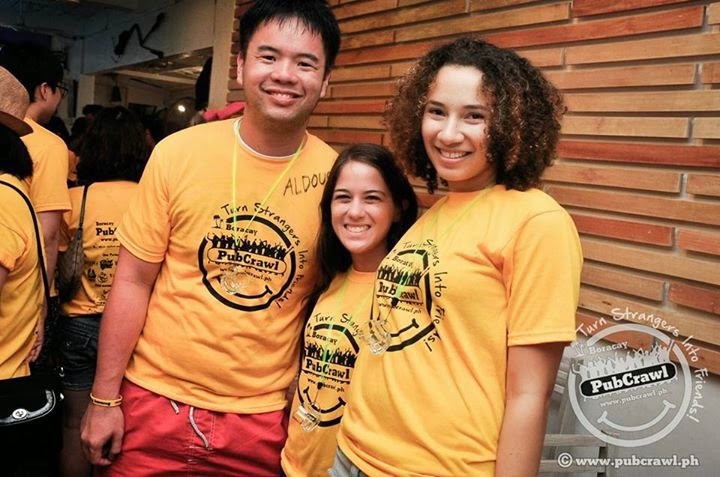 The Boracay Pub Crawl saved what would have been a dull weekend for me. It was raining all the time when I was at the island so it was a good thing this event still pushed through despite that. The crawl got real nasty thanks to the unpredictable antics of Captain Riza. There were actually 4 captains and they all did their roles to perfection. The night got even better when it is time to play games. We played a relay race while wearing party shades and the bunny hat. I could hardly remember what happened but I think the losers had to drink shots which means everyone wins. Thanks to Aliyah of 3Ladventures.com for hooking me up. Contact her for fun and affordable tour packages in the island. She also made quite a cameo during the night. She showed that everyone has a party side in them. 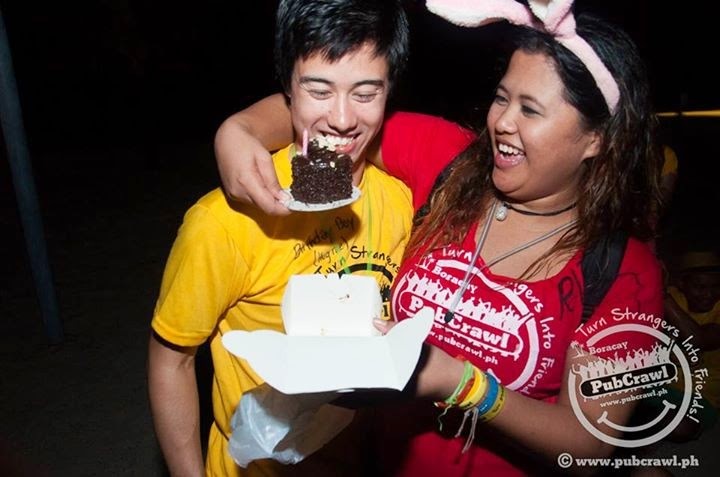 If you haven't hopped aboard the Boracay Pub Crawl yet then you are missing half of your life. I guarantee you are going to have the #bestpartyever even though it is possible you're going to be so drunk that you won't remember anything the next morning. That looks fun but maybe not my kind of fun haha I'm not really into partying, drinking and stuff. 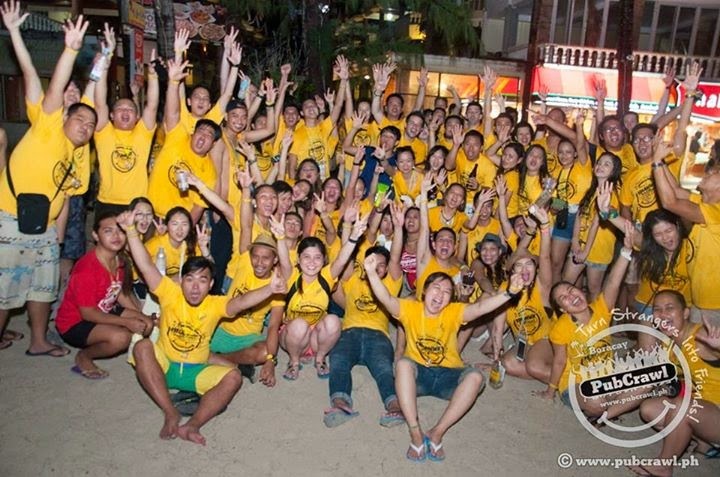 The Boracay Pub Crawl is totally recommend for those who want to live their life to the fullest. :P You gotta have to be ready with hangover cures the next day.